According to Windows Blog, Windows 8.1 will be available for download on October 18, 2013. Starting with that day, the update can be downloaded for free from the Windows Store. At that time, Windows 8.1 will already be installed on the new gadgets that features Windows OS. Windows 8.1 follows the overall vision started with Windows 8 and it is an example of Microsoft’s commitment to innovation and continuous improvement, at least that’s what the developers are saying about this new version of Windows. The update will bring even more changes in areas such as personalization, Internet Explorer with Bing search, built-in applications, new Windows Store, SkyDrive cloud connectivity and more. An almost final version of this update called Windows 8.1 build 9741, appeared on the Internet a few days ago, and people who tried it said that Windows 8.1 has positive changes in terms of mail experience or tips for using the software. But the most important aspect regarding Windows 8.1 is the user experience, since the new upgrade will make things easier for the users. 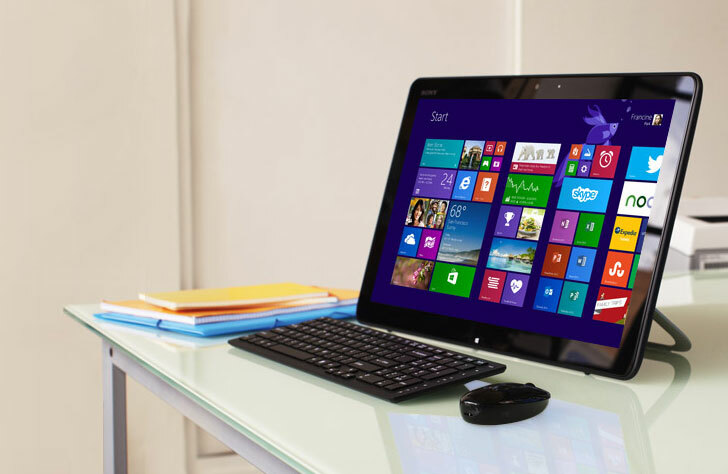 The Windows 8.1 will be available for download starting with October 18, 2013. The upgrade can be downloaded for free only if you already have a licensed version of Windows 8 installed on your device. In order to download the upgrade, you need to go to WindowsStore on October 18 and click upgrade/download. That’s all!